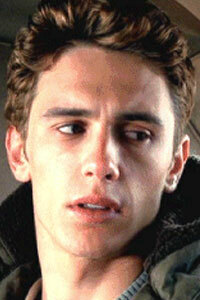 Harry Osborn, played by James Franco, is the son of the brilliant scientist Norman Osborn. Although his father was always distant and disconnected, Harry never stopped seeking his approval. While Harry was hurt when his father expressed so much interest in Peter Parker, Harry didn’t let that come in the way of their strong friendship. When Harry’s father dies, he blames Spider-Man, ignorant of the fact that Spidey’s secret identity is none other than his best friend. Believing Peter Parker and Spider-man to be friends, their relationship becomes strained. After, Spider-Man is delivered to Osborn by Dr. Octopus, Harry is horrified by who he finds under the mask. After Peter explains to Harry that he didn’t kill Norman Osborn, Harry lets him go. Confused and haunted by his past, Harry stumbles upon the Goblin costume and technology. Eventually, Harry becomes his own variation of the Goblin attempting to kill Peter. In the end, Harry and Peter team up to defeat Venom and Sandman. Harry is mortally wounded in the battle but manages to forgive Peter before he passes away.